Low cal, low fat, easy to pull off and downright delicious. 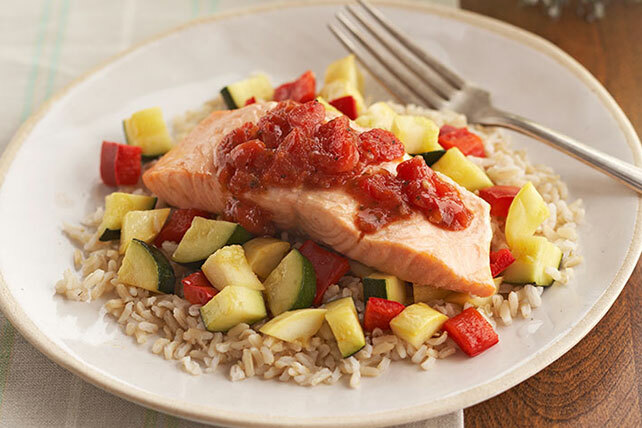 Get in the swim with delectable, zesty salmon. Combine zucchini, squash and peppers in 13x9-inch baking dish; top with fish. Mix tomatoes and dressing; spoon over fish. Sprinkle with 1 Tbsp. KRAFT Grated Parmesan Cheese before serving.